I’ve been eyeing this Dragonfly Dreams set for awhile, not only for the cute dragonflies, but mostly for that adorable bumble bee! 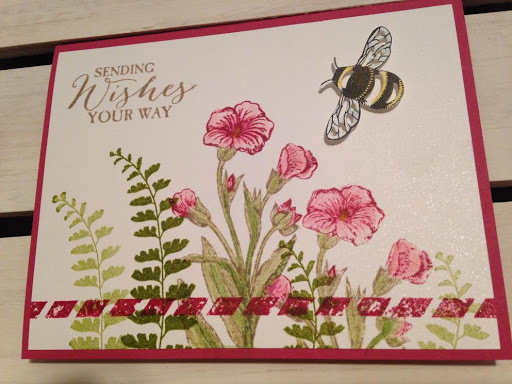 He’s going to be buzzing around on a lot of my flower cards I think. If I were a better photographer…which I hope to be someday, you would see the Wink of Stella and soft sky on those delicate bee wings. 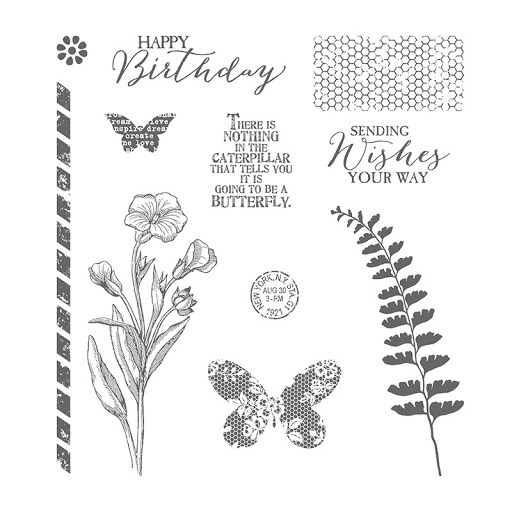 I used the Butterfly Basics stamp set for the other images and the sentiment. Garden Green, Rose Red and Crumb Cake are used for the stamped images. I used my favorite way to color, the Water Color Pencils! I’ve been hoping for watercolor pencils in coordinating colors for YEARS!! I hope SU! 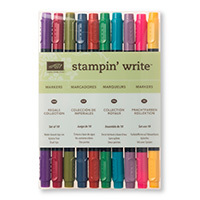 comes out with the rest of the colors, too! The Dragonfly bundle is the best deal, because you can save 10% until the end of May. 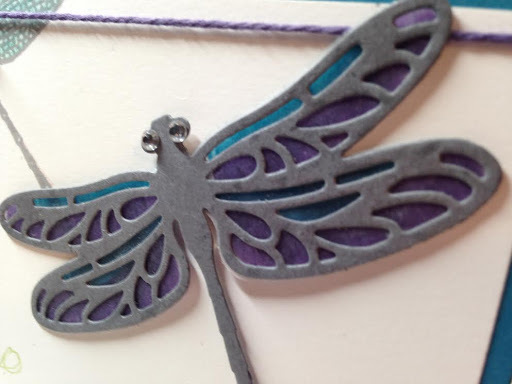 The Detailed Dragonfly Thinlits Bundle are really beautiful, very versatile. 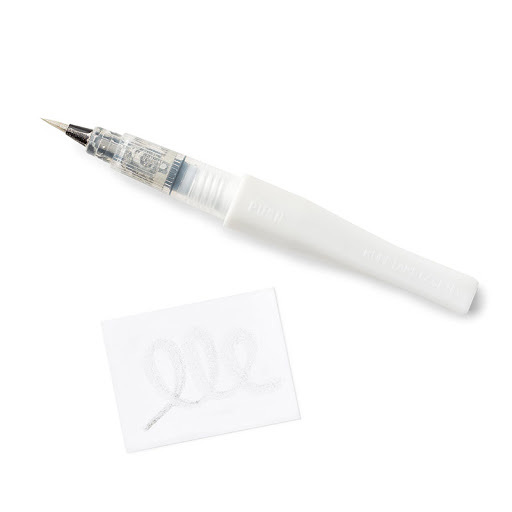 Scroll down for product picture links to my store to SHOP, or click on the Stampin’ Up logo to the right. Again, rookie photography skills, lighting and armed only with an I-phone…the beauty of this dragonflies wings can’t fully be appreciated in this photo..there is vellum card stock under the “frame” of the dragonfly. 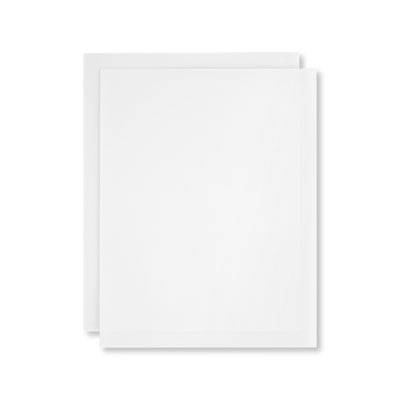 The vellum card stock is colored underneath with Elegant Eggplant and Pacific Point markers, and her body is Basic Gray Card Stock. 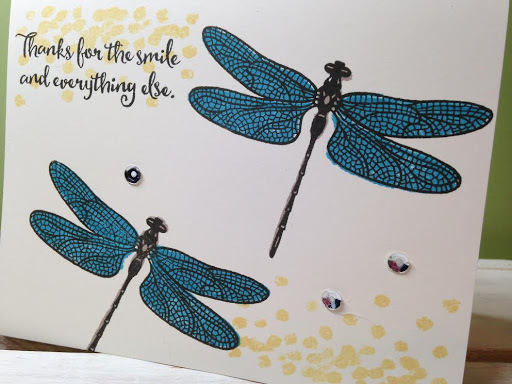 More dragonflies, I have a lot more cards to make with this set I think… I just got it, just before the price goes up 10% with the new catalog! Click on the photos or captions to SHOP in my store! 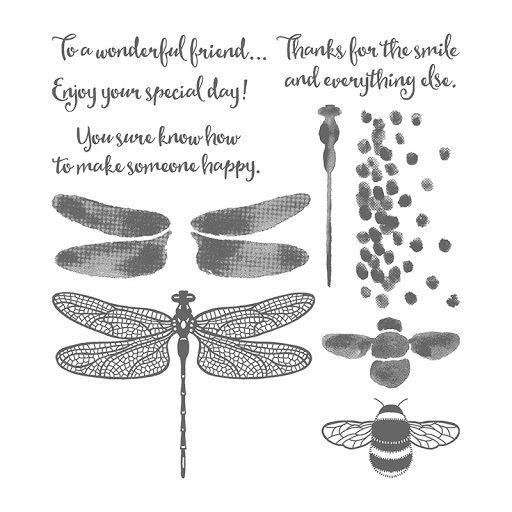 Please use the hostess code in the cart, lower left hand corner, & if you spend $50 in merchandise or more you will receive two free card kits in the mail…and a thank you card, (because I appreciate your business!) Everyone gets a thank you card! For orders over $150, please DO NOT use the Hostess Code, so you will get hostess benefits for a minimum party. 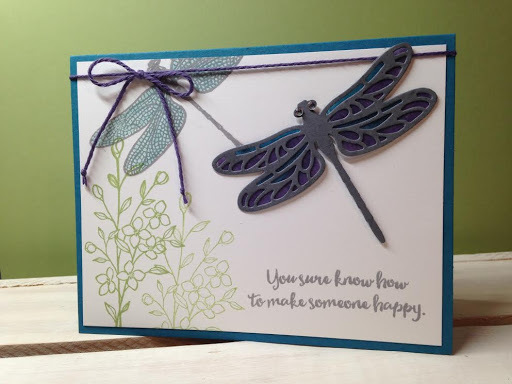 I love how you used both the dragonfly stamp and dragonfly thinlet on the same card.